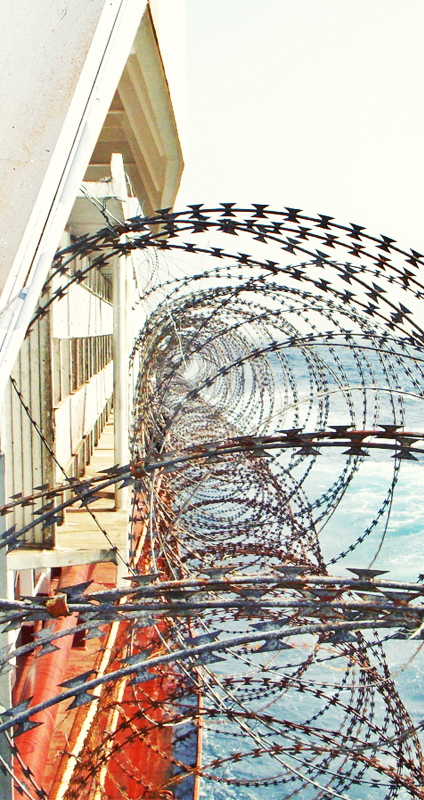 Al Safina Security provided protection services over 4,000 ships in the HRW (high risk waters). In our database we have 500 MSO’s (maritime security officers) of different nationalities, ready to be deployed on the client’s vessel 24/7/365. Our security teams fully complying with International Maritime and Security Standards following the RUF (Rules of use of Force) based on 100 Series Rules and BIMCO guidelines. Securing a safe passage we make sure that our operations team will deliver a maritime risk assessment plan and advice on the vessel hardening measures needed before sailing to the HRA (High Risk Area). All the operations run are 24/7 monitored by the Ops Room with the Transit Manager in charge for every particular voyage. We comply with all applicable and relevant international and national laws, ISPS code, BMP4 requirements and port states regulations. Being ISO/PAS 9001:2008, ISO/PAS 28007:2013 & ISO/PAS 28007-1:2015 accredited and fully insured in accordance with Baltic International and Maritime Council’s (BIMCO) GUARDCON we are maintaining high professional standards and working on its improvement in the industry. Geography of the area of our expertise contains: Persian Gulf, Indian Ocean, Red Sea, SOMS (Straits of Malacca and Singapore), Indonesia, Vietnam and West Africa. With our extensive experience and professional approach we offer effective and reliable solutions to secure our clients and their assets against potential threats, intrusion or damage by providing protective security services making sure they operate in safe and secure environment. 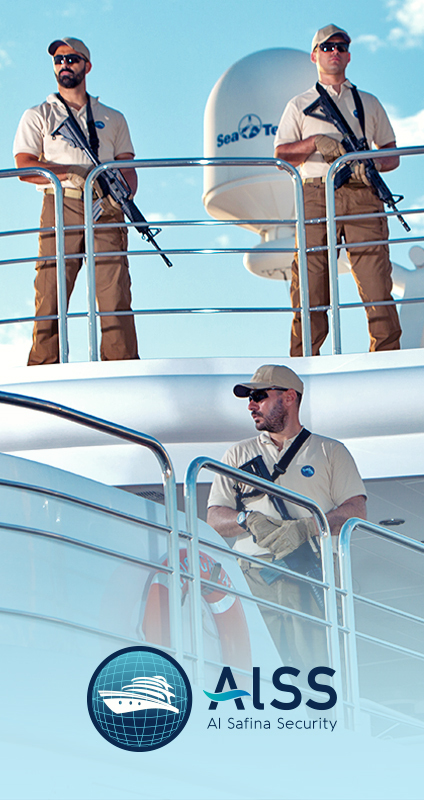 Al Safina Security offers tailored and high standard security services for private or commercial yachts, mega or super yachts starting with a risk analysis and security systems implementation up to providing armed security personnel on board. Insuring the safety and welfare of your family, guests and valuable assets, your passage is getting monitored on 24/7 basis by our Ops Department allowing us to react immediately in case of any incident or suspicious activity in the area. 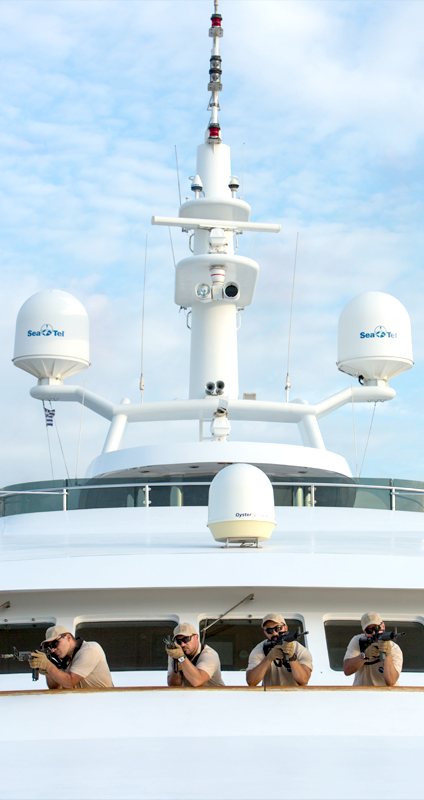 We provide premium security solutions to protect your yacht effectively and assist the Captain and the crew with required support in order to enable passage through a high-risk environment going smooth and to mitigate the possible risks. Implementing robust maritime risk management strategies we have a clear understanding of our client’s requirements, giving the assurance the task will be handled with the utmost professionalism.